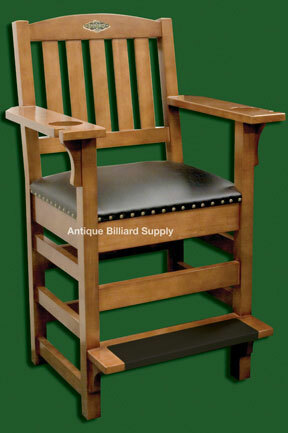 #7-06 Brunswick spectator chair for use with antique pool tables. Large, comfortable model of solid wood with drink holders in each of the arms. Black upholstery, medium brown finish. Perfect for the home billiard room or small billiard parlor. Four available.